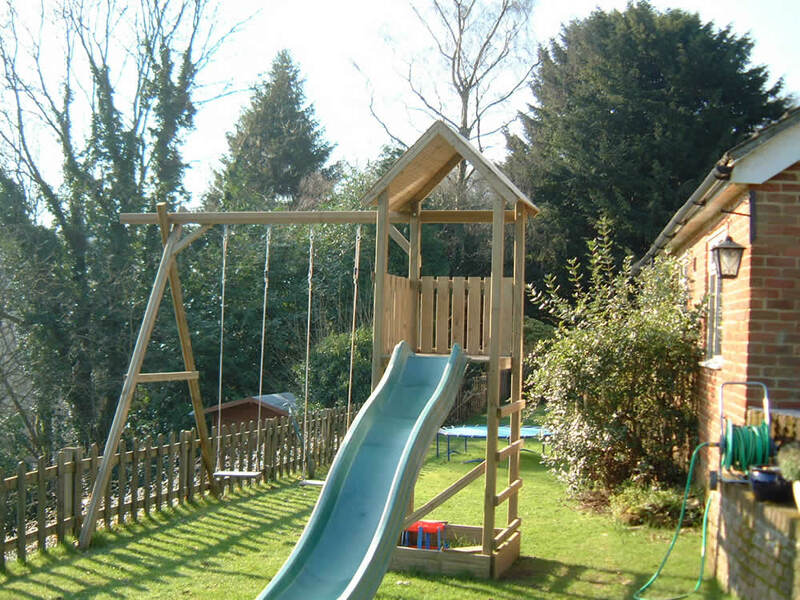 Our entry-level Climbing Frame offers all the features needed for a wide range of play activities. 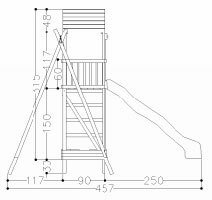 Attached to the strong wooden tower is a tall swing-arm with two wooden swings, heavy-duty 3m slide and full-sized commando net. Built into the base of the tower is a sandpit with two wooden seats. We use pressure-treated planed rectangular timber to minimise splits and cracks. Detailed assembly instructions and all necessary fittings are provided to make construction a straight-forward DIY job. 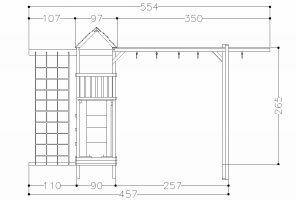 Please note that the dimensions supplied correspond to the layout in the photos, and will change if you chose to assemble the unit in a different configuration. We have been retailing these play centres since day one and have built up an in depth knowledge of them. You can make use of our years of experience in selling, designing and building these play centres, by contacting us on 01342 833 464 with any specific requirements. Also by ordering through us we can save you money on the best quality wooden climbing frames available in the UK today. Due to the expert knowledge we have built up over the years selling these climbing frames we have been awarded the 5 Star Stockist accreditation from the manufacturers. Click the logo on the right or click here for more details. to buy accessories at up to 40% off ! Where space is at a premium, the Arundel without swing arm still allows a range of play activities with its heavy-duty 3m slide, full-sized commando net and built-in sandpit.